the President of the National Regulatory Authority for Energy issues this Order. volumetric tariff for the amount of gas transported only through the National Transmission System: RON 3.20/MWh transported. (2) The tariffs referred to in paragraph (1) letters b) and c) also include the value of the monopoly tax provided in Government Ordinance no. 5/2013 approving special taxation rules for activities with a monopoly character in the electricity and gas sectors, with further amendments. (3) The tariffs for the provision of the gas transmission service, referred to in paragraph (1), do not include VAT. Art. 2. 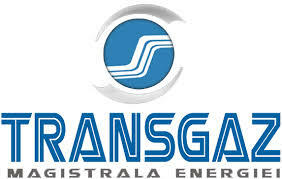 – Establishing the regulated revenue and total revenue related to the sixth year (1 October 2017 – 30 September 2018) of the third regulatory period, for the activity of gas transmission through the National Transmission System carried out by the National Gas Transmission Company Transgaz – S.A., set out in the Annex no. 2, which is an integral part of this Order. Art. 3. – The annual economic efficiency growth rate for the natural gas transmission activity is determined at the value of 3.5% for each gas year of the third regulatory period, in the interval October 2017 – September 2019. Art. 4. – The National Gas Transmission Company TRANSGAZ – S.A. shall fulfill the provisions of this Order, and the competent departments of the National Regulatory Authority for Energy shall monitor their compliance. Art. 5. – This Order shall be published in the Official Journal of Romania, Part I, and shall come into force on 1 October 2017. 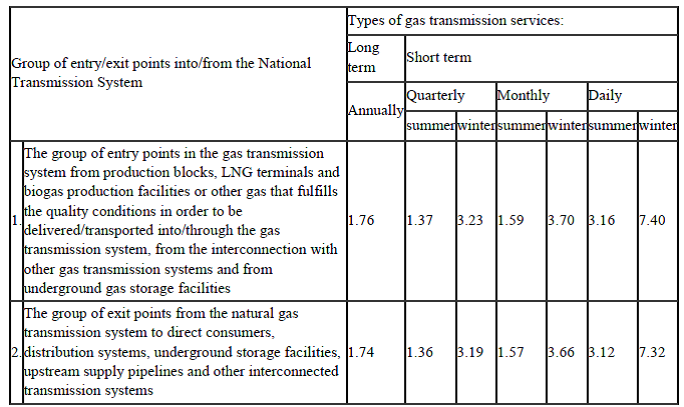 The regulated revenue and total revenue related to the sixth year (1 October 2017 – 30 September 2018) of the third regulatory period, for the activity of gas transmission through the National Transmission System carried out by the National Gas Transmission Company Transgaz – S.A. Copyright © 2019 Romaniascout – Romanian Energy News. All Rights Reserved.